It's like The Expendables of spicy food contests: the third chapter of Spiceavore is upon us, and ten contestants are coming out of retirement to consume ungodly amounts of spicy food, yet again. It is time for Nuclear #Spiceawar, and you are welcomed to witness the spectacle! When: Saturday, February 8th, 2:30pm. What: Four rounds of crazy spicy foods, leading up to a finale where the ultimate Spiceawarrior will be crowned. And what's in it for you, other than witnessing grown women and men doing something incredibly stupid? We'll have food for you to sample! Menu specials! Beer specials! Vendors! Exclamation marks! Plenty of vendors and restaurants will be providing food and goods this time around, including, but not limited to, names like Santé, Dave's Gourmet, Monterey, Fireball, Brain Freeze, DOMA, Big Sky, Fremont, Volstead Act, Beet It Up, and of course Saranac. And that's just the tip of the list! Once again we'll be supporting a charity, which once again will be a local cystic fibrosis clinic. I mean, really, can you think of a better way to spend a Saturday afternoon? Of course you can't! So consider this a «mark your calendar» type of post. A lot more information -- and vendors -- will be revealed over the next couple of weeks. For now: Plan on February 8th to be a Nuclear #Spiceawar type of Saturday! 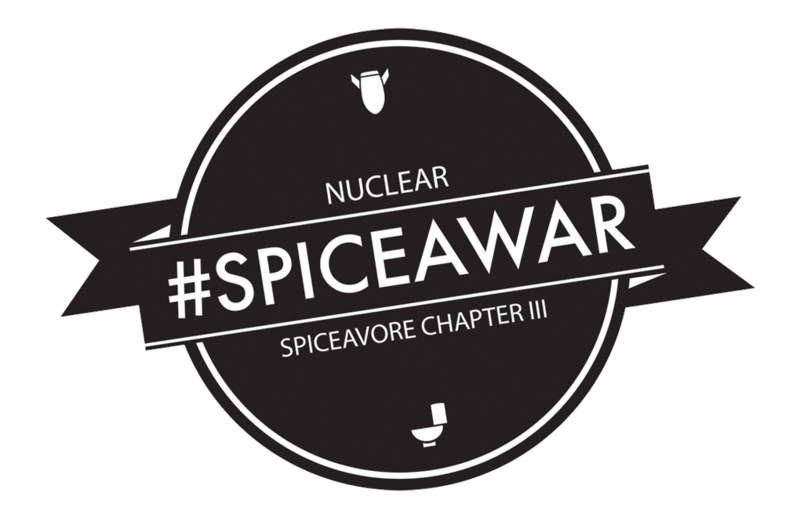 Vote for Introducing Nuclear #Spiceawar: It’s your civic duty!